Braided Channel will feature moving image documentation of a sampling of Levy's site-based works. Short, gestural videos will offer dynamic views of work that is often difficult to capture in a gallery setting. Braided Channel will feature moving image documentation of a sampling of Levy's site-based works. Short, gestural videos will offer dynamic views of work that is often difficult to capture in a gallery setting. 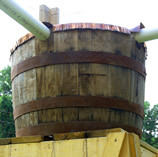 In addition, Levy is leading a gathering of water along the full length of the two streams on the Schuylkill Center grounds (Smith Run and Meigs Run) to be displayed in a library of local water specimens. Braided Channel will open with a reception on November 7 from 6-9 pm. Preceding the opening will be the Henry Meigs Award presentation awarding Levy with this distinguished Environmental Leadership honor, and a discussion panel on the intersection of art, science, and the environment through the lens of water. More information on Stacy Levy and the exhibition is available here. Throughout the summer, our art gallery will become Wet Lab, a space for artists and Schuylkill Center visitors to explore and reflect on water in a dynamic environment. Art in the Open will open with a reception on September 13 from 6-8pm. Throughout the summer, our art gallery will become Wet Lab, a space for artists and Schuylkill Center visitors to explore and reflect on water in a dynamic environment. In contrast to a more traditionally curated exhibition, the artists, art works, and projects on view will flow and shift throughout the summer. Artists will display completed works along with works in progress, at times using the gallery as their studio to work through a new idea or test creative hypotheses. Step into the lab with us for a summer of experimentation, investigation, observation, and more. Wet Lab will open with a reception on May 23 from 6-8pm. A group exhibition of seven projects, each deeply engaged with regional waterways. Opening to the public on January 25, the artists in this exhibition (Camp Little Hope, Matthew Friday, Dylan Gauthier, Ana Berta Hernandez, Mare Liberum, Sandy Sorlien, and Danielle Toronyi) seek a profound connection through their work, asking how can art help us to know, value, and steward the rivers around us. Learn a Riverï¿½s Name includes works that reveal something unseen about a water bodyï¿½s characteristics. With a focus on the Mid-Atlantic region, these artists explore rivers and streams that we might ourselves get to knowï¿½the Schuylkill, Delaware, Brandywine, and Hudson Rivers. More images and information on the exhibition is available here. 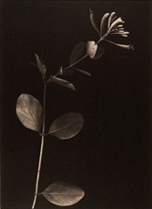 An exhibition exploring the connections of people, plants, and place. Most people know that we rely on plants for the food we eat and the air we breathe, but the interconnections between plants and people actually go much deeper and are more nuanced. Scientists continue to discover the complexities of how plants take in and respond to information, even communicating with each other through underground networks and chemical signals. Human systems powerfully influence plant communities, locations, and health ï¿½ and they also exert a powerful influence over us. Yet, despite the intricacies of the plant-human relationship, plants are often overlooked, even compared to other aspects of the natural world. Our fall gallery show features artists who explore the relationships who explore the connections between plants and people ï¿½ join us for an opening reception celebrating our newest exhibition. The show opens in the gallery with a reception on Thursday, September 7th from 6-8 pm. Fourteen artists extend our art gallery onto the trails this summer, with works that respond to their installation site, exploring concepts of placemaking, reused materials, and natural-unnatural sound. These works, both indoors and on the trails, were created as part of Art in the Open, a public art program in which selected artists create their work on the Schuylkill Banks for three days in May. Enjoy artist talks, light refreshments in the gallery, a guided walk to the outdoor installations, and site-specific performance at the reception. The show opens in the gallery with a reception on Wednesday, May 24th from 6-8 pm. 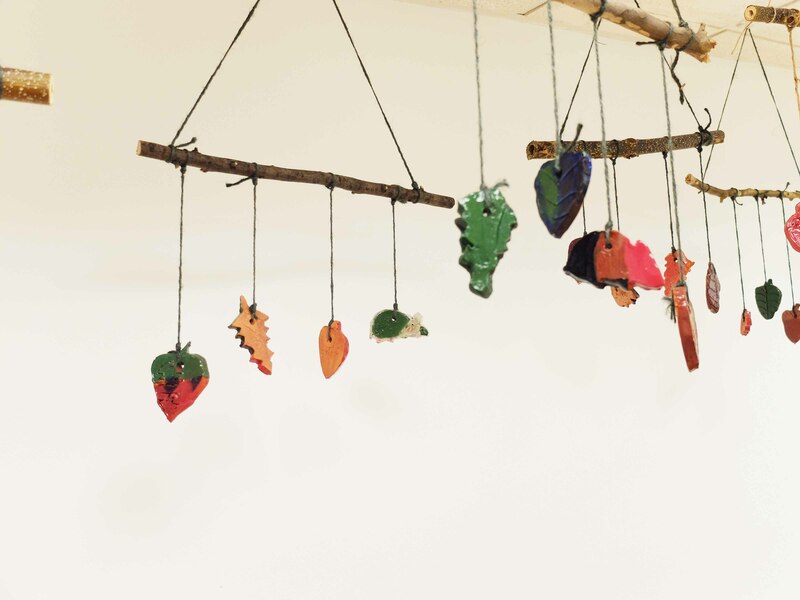 The Schuylkill Center's Environmental Art program is proud to present Community, a gallery show celebrating the art work of Schuylkill Center members. Community is a non-juried, salon-style exhibition, open to current Schuylkill Center members, neighbors, staff, and volunteers. Featuring artists of any medium, style, theme, or concept, this show will create a portrait of our community, of a vibrant, diverse, and multifaceted community of makers. Community will reveal how people see nature in Philadelphia, and inspire everyone to connect with nature in their own way. The show opens in the gallery with a reception on Thursday, January 26th from 6-8 pm. Eight artists explore various dimensions of the future of a hotter, wetter Philadelphia. Two artists made "river prints" dipping handmade paper into the pollution on the surface of the Delaware River; one paints exquisite watercolor landscapes, the contours following the data graphs of key climate indicators such as CO2 concentrations; another artist creates paper works inspired by the tunnels built by bark beetles. The show opens in the gallery with a reception on Saturday, September 24th from 4-6 pm. More on Going Up here. Going Up is supported in part by a grant from CUSP ï¿½ the Climate & Urban Systems Partnership of the Franklin Institute. Though often overlooked, moss is the first form of plant life, and it captivates artist Marion Wilson, who draws our attenï¿½tion to these tiny organisms. Through Wilï¿½son's stunning photographs of microscopiï¿½cally enlarged mosses, Bryophilia invites us to look closely and celebrate deeper ways of seeing. Along with the gallery exhibiï¿½tion, Wilson's Mobile Field Station (an art and ecology project using a renovated RV as a drawing and botany lab) will be at the Schuylkill Center, open to the public. 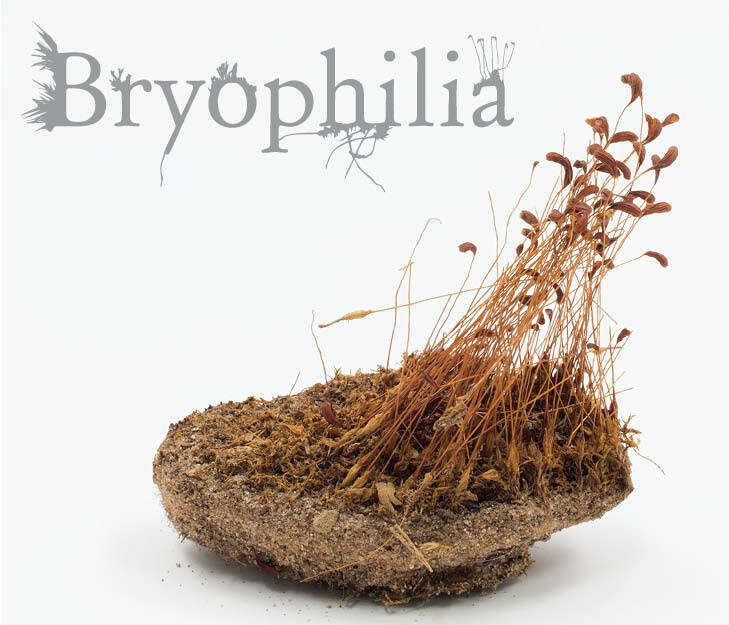 Bryophilia is supported in part by a grant from the Dolfinger-McMahon Foundation. This exhibition features the work of students from The Philadelphia School, a coeducational, nonsectarian independent school educating children from preschool through eighth grade in Center City. The Schuylkill Center for Environmental Education serves as the schoolï¿½s ï¿½country campus,ï¿½ where students study environmental science and learn to be active stewards of the natural world. For this exhibition, students from different age groups explored a range of work and media inspired by nature. The students worked collaboratively and independently to create the work in the exhibition. Please consider de-listing yourself from junk mail to Save the Red Pandas. Joshï¿½s photographs and Melissaï¿½s crocheted yarn sculptures highlight the experience of immersion in the forest and natureï¿½s ability to create something beautiful out of almost nothing. Tucked between a Walmart, outlet malls, and a wastewater treatment plant, yet within view of the New York City skyline, the wetlands of the Hackensack River spoke to artist Nancy Cohen as an ï¿½isolated puddle of the organic in a deluge of the human-made.ï¿½ Cohenï¿½s installation transforms the gallery, creating its own environment and evoking transportation to a wholly new space. Made of glass, handmade paper, and rubber, Hackensack Dreaming explores fragility, perseverance, and the new realities produced by the human and natural colliding in unexpected ways. In 1842, geologist John C. Frï¿½mont unexpectedly encountered a bumblebee on an expedition in the Rocky Mountains, and imagined each of them to be the first of their species ever to brave such geological extremes. This unlikely high-altitude meeting embodies Americaï¿½s unique brand of landscape nationalism, historically attempting to reconcile both expansionist and conservationist thought. The Mountain and the Bumblebee brings together selected works by contemporary poets and artists in a variety of media who confront notions of landscape as both cultural icon and raw material. In this traveling exhibition curated by Indiana University of Pennsylvania professor Chris McGinnis, artists maneuver the complex web of references contributing to our understanding of landscape. 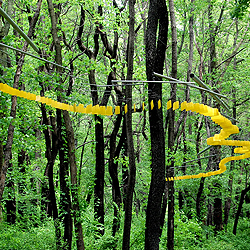 Nine artists extend our art gallery on to the trails this summer, with installations including string and ribbon sculptures which transform natural places and meditation shelters. Each installation creates a new space to reflect on our relationship with the world around us and opens up insights on the artistic process. These works, both indoors and on the trails, were created last May along the Schuylkill Banks as part of Art in the Open, a public art program inspiring new ways of seeing the Schuylkill River and the city it runs through. During Art in the Open, artists spent three days creating works in public, their creative process visible to the thousands who pass through the Schuylkill Banks each day. At the reception, weï¿½ll offer artist talks and light refreshments in the gallery, along with a guided walk to the outdoor installations. Art in the Open is a citywide event that celebrates artists, their inspirations for creating art, and their relationships with the urban environment. Exhibition on view: June 1 ï¿½ July 25. 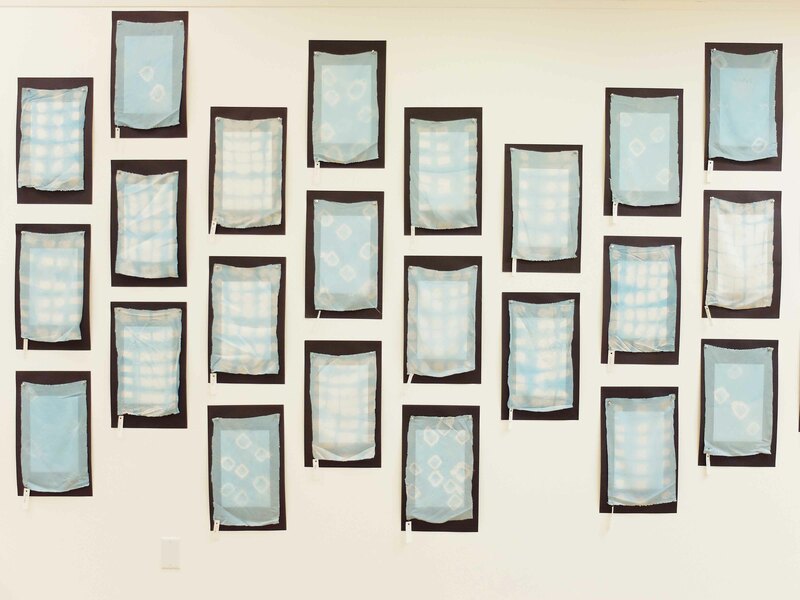 Open Spaces is the last in a series of Art in the Open exhibitions held from summer 2014 through summer 2015 at the Center for Emerging Visual Artists, the University City Arts League, and the Schuylkill Center. Open Spaces features work by Nancy Agati, Harry Bower, Ellen Brooks, Josh Harris, Aaron Lish, Pazia Mannella, Sandy Sorlien, Susan Wilson, and Wendy Wolf. Art is integral to imagining new worlds. 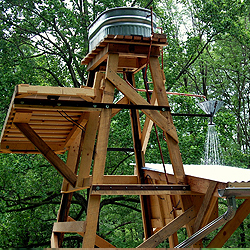 Launched on August 15, 2014 on the Delaware River, Mary Mattingly's WetLand is a mobile, sculptural habitat and public space constructed to explore resource interdependency and climate change in urban centers. A floating sculpture, it resembles a partially submerged building, integrating natural living systems with our urban space. Narrating a watery ecotopia, the interior contains a living space, work space, public, and performance space that combines art, architecture, and ecology. WetLand's ecosystem contains rainwater collection and purification, greywater filtration, dry compost systems, outdoor vegetable gardens, wetlands, and hydroponic gardens. Residents live onboard and host activities, including free workshops, performances, and events. The goal of WetLand is to encourage individual community members to apply the ideas brought to life on board. Equal parts symbol, social space, stage, and shelter, the WetLand sculpture is an argument for thriving local environmental economies. This gallery show contains concept drawings and preconstruction sketches, photographs and documentation of WetLand from August-September 2014, and artworks created by artists who were in residence aboard WetLand. Inhabiting the Edge: WetLand and the Fourth Annual Richard L. James Lecture given by Mary Mattingly were supported in part by the Pennsylvania Partners in the Arts program of the Pennsylvania Council on the Arts, a state agency funded by the Commonwealth of Pennsylvania and the National Endowment for the Arts, a federal agency. Support also provided by PECO. This program is administered regionally by the Greater Philadelphia Cultural Alliance. The action of going forward or onward in space or time. A method of doing or producing something. A continuous series of actions meant to accomplish some result. A movement toward a goal or to a further or higher stage. Advancement, growth, or development; continuous improvement. To grow or develop, as in complexity, scope, or severity; advance. A journey; continuation, development. Going on, under way, being done, hapï¿½pening. The Schuylkill Center presents Process & Progress ï¿½ a gallery show that serves as the midway check-point for the LandLab residency. Since being awarded the residencies in spring 2014, the LandLab artists have been investigating, engaging, and creating as they explore ecological challenges on the Schuylkill Center property ï¿½ stormwater, invasive vines, declining pollinator populations, and disruptions to soil formation. This gallery exhibition showcases not only their work so far, but that other, often more hidden element: the artistic process itself. The gallery contains diversity of work in various stages from all seven LandLab artists: Jake Beckman; Leslie Birch; Marguerita Hagan, B.H. Mills, and Maggie Mills; and WE THE WEEDS, a collaboration of artist Kaitlin Pomerantz and botanist Zya Levy. 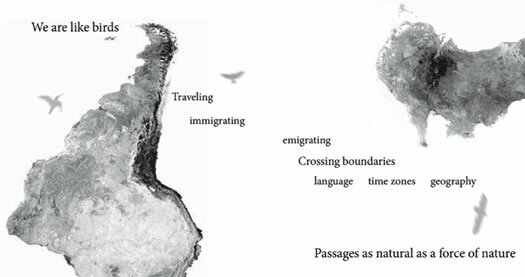 Glimpse what the artists have done so far for their LandLab residency, what their early explorations have revealed, and where they intend to push their work. Also on view is related, completed artwork by the LandLab residents that shows the trajectory of their practice in environï¿½mental art and contextualizes their current LandLab work. In environmental art, the process is often as important as the outcome itself; the remedial, social, and educational dimensions are given equal weight to the aesthetics, and the final piece is just one component of the entire artistic work. In revealing this process through the gallery show, we invite you to be more deeply a part of this work, and to engage with an aspect of art often left to the wayside. LandLab is an environmental art residency program that integrates art, ecological restoration, and public engagement, and is a joint project of the Schuylkill Center and the Center for Emerging Visual Artists (CFEVA). 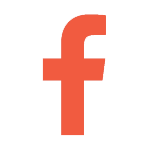 Support for LandLab is provided by the Knight Foundation, the National Endowment for the Arts, the Pennsylvania Council on the Arts, PECO, the Dolfinger-McMahon Foundation, and the William Penn Foundation. This exhibition features the work of third grade students from The Philadelphia School ( www.tpschool.org), a coeducational, nonsectarian independent school educating children from preschool through eighth grade in Center City. 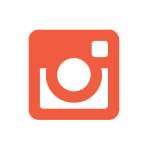 The Schuylkill Center for Environmental Education serves as the schoolï¿½s ï¿½country campus,ï¿½ where students study environmental science and learn to be active stewards of the natural world. For this exhibition, the children explored a range of work and media around water, its function in ecosystems, and its importance to life. The students worked collaboratively to create large-scale felted murals depicting the water cycle. 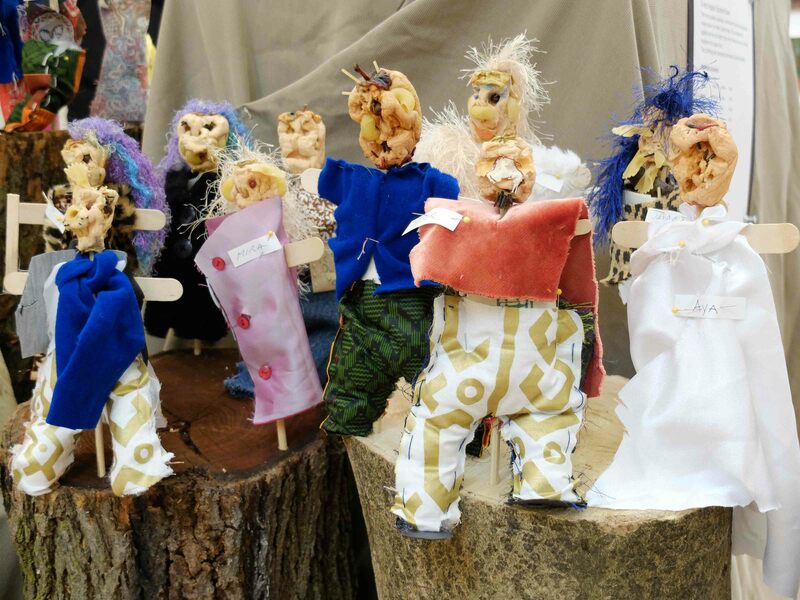 Students also created apple scarecrows, sewing their clothes and figuring out how many grams of water evaporated from the apples that serve as the scarecrowsï¿½ heads. 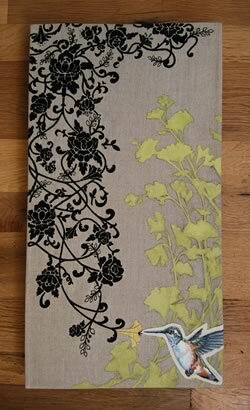 They also explored cyanotypes, walnut ink drawings, and botanical illustrations with watercolor pencils. In winter, patterns emerge from the harsh relief of cold temperatures and heavy snow that illuminate the relationship between us and the changing environment in which we live. This cold is at the heart of Frost, in which two Philadelphia artists take on winter as their subject. Amie Potsic and Nancy Agati delve into the meaning of winter through a mixture of photography and mixed media. Agati and Potsic draw elements of nature into their work, giving voice to the natural world and putting it in dialogue with both the viewers and the artists themselves. Potsicï¿½s photographs and installations focus on the intersection of the socio-political and natural worlds, challenging the viewer to question stereotypes, cultural norms, and politics. Endangered Seasons highlights the change of seasons as indicators of ecological wellbeing, while the Made in China winter series utilizes seductive beauty to encourage grappling with difficult issues. 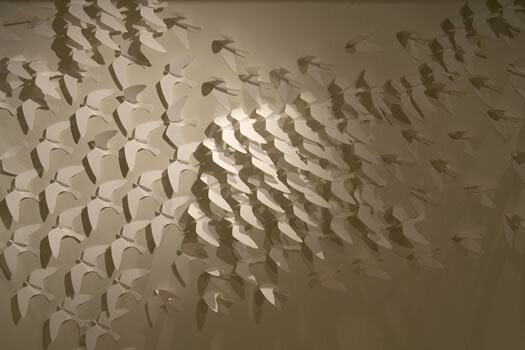 Agatiï¿½s sculptural installations use natural materials to create forms which resonate with the patterns, shapes, and complex structures of the natural world. 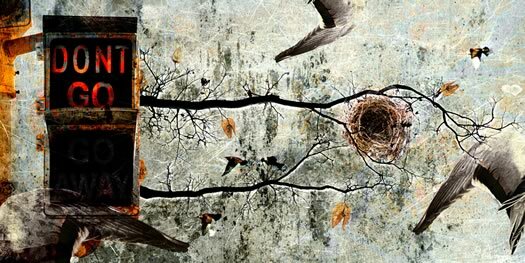 She investigates growth patterns in nature by playfully rearranging collected reeds, branches, and seed pods into forms reminiscent of winterï¿½s decorative ornamentation. 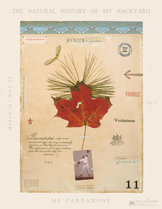 Whether it is Agatiï¿½s striking sculptures, Potsicï¿½s photography, or their interaction that transports you, Frost creates a world that is both uniquely its own and deeply connected to its inspiration: our natural world. 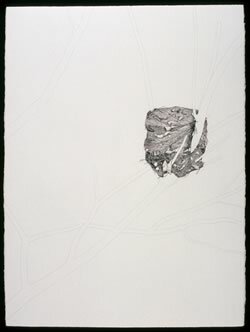 The Schuylkill Center presents Sarah Kaizarï¿½s In Danger, a series of drawings based upon the 1,115 species identified on the U.S. endangered species list. Kaizar wanted to ï¿½compose a showcase for these imperiled creatures, capturing their wide range of forms, patterns, textures and personalities.ï¿½ This exhibition presents an engrossing and alarming number of animals in danger of extinction, in their intricate and beautiful detail. While it is a chilling reality, we believe recognizing and celebrating these vulnerable life forms is an essential part of increasing public environmental awareness. The Schuylkill Center works tirelessly to maintain our land as a protected haven for hundreds of species, and we operate a full-time wildlife clinic to care for and rehabilitate sick, injured and orphaned wildlife native to our region. While this exhibition does not limit itself to only local species, we are keenly aware of the danger our local wildlife faces daily. To ensure accuracy, these drawings are periodically reviewed by an extremely helpful and generous group of biologists: Dr. Benjamin Keck, a post-doctoral associate at the University of Tennessee at Knoxville; Kristen Kuhn, a research affiliate at the U.S. Dept. of Agriculture; Dr. Thomas Near, associate professor at Yale University and curator of the Yale University Peabody Museum of Natural History; and Greg Watkinsï¿½Colwell, collections manager of Herpetology & Ichthyology at the Yale University Peabody Museum of Natural History. Working from photographs Kaizar creates these pen and ink drawings while riding the train to and from work. For more of Kaizarï¿½s work, please visit http://www.sarahkaizar.com. Maggie Mills brought her distinct eye for children and the spaces they inhabit here last spring. She observed SCEEï¿½s afterschool program, the Monkey Tail Gang, and created this series of evocative portraits of the nature centerï¿½s unique spaces and the kids who enjoy them daily. Juxtaposing simplified, graphic landscapes with realistic figures, Millsï¿½ large oil paintings explore the childrenï¿½s special relationship to their second home. Mills is a current fellow with the Center for Emerging Visual Artists Career Development Program (CEVA) and has exhibited widely in Philadelphia and elsewhere. 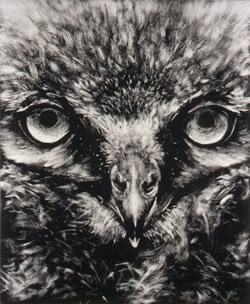 She received her BFA from Tyler School of Art and her MFA from the Pennsylvania Academy of Fine Arts. Our Monkey Tail Gang After School program is guided by our belief that unstructured free play in nature, can be as important to a child's growth and development as time spent in the classroom. Monkey Tail Gang children learn from and are enriched by the natural beauty of our 240 acres of woods, streams, ponds and meadows. SALAMANDER is the common name for about 550 species of amphibians with tails. They include all the members of the order Caudata, which includes newts, sirens, mudpuppies, olms, amphiumas, hellbenders and others. The name salamander is derived from an old Arab/Persian word meaning ï¿½lives in fire,ï¿½ stemming from an old belief, (false of course), that the salamander could walk through fire and remain unharmed. This myth may have originated from the bright skin colors resembling flames that some salamanders have. Salamanders are extraordinary survivors and have been on this earth for over 160 million years. Over the last 50 years, over 200 species of amphibians throughout the world have declined markedly in numbers, with reports of 32 species extinctions. In many instances, these declines are attributable to adverse human influences acting locally, such as deforestation, draining of wetlands, and introduced species. Salamanders are important animals in our world, not only because they are fascinating and beautiful, but also because they serve as warnings of environmental stress: essentially functioning as ecological alarms. Amphibians are very sensitive to their environments and populations begin to decline when the balance of their habitat is disrupted. Since, 1998 Stanley and Brandon have collaborated on art and science projects (both as artists and biologists in their own right). A central focus of their collaborative efforts has been to create amphibian-themed artworks to inspire viewers to learn more about these fascinating creatures. Likewise, an underlying conceptual mission is to increase public awareness and understanding of biological phenomena and environmental concerns while challenging viewers both aesthetically and intellectually. Through their scientific collaborations they have made important discoveries about the reasons for developmental deformities among wild populations of amphibians, such as parasitic infection and predatory injury. The salamander ï¿½portraitsï¿½ in this exhibition were made as part of their Rockefeller Foundation Fellowship at the Institute for Electronic Arts, School of Art and Design New York State College of Ceramics at Alfred University, Alfred, New York during 2000 through 2001. They have shown these works nationally and internationally including at exhibitions in Canada, China, England, Italy and elsewhere. The wildlife clinic was founded in 1987 to help animals in our area that are harmed or injured. The only similar institution in a four-county area, the clinic sees some 3,400 animals a year. Our clinic staff works around the clock to bring these animals back to health and return them to their natural home. On rare occasions, certain animals whose injuries mean they are not able to return to their native habitat become ï¿½education ambassadors,ï¿½ appearing at programs and events and helping us teach about the natural world. This summer, photographer Jennifer Hynes spent hours and hours at the wildlife clinic photographing its animals, people, spaces and landscapes. Her time there resulted in a deep understanding of the caring attention given to each and every animal that needs help. These images portray the dedication and love with which clinic staff and volunteers bring animals back to health. 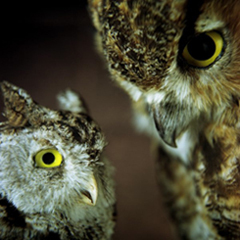 The Schuylkill Center is proud to honor the wildlife clinicï¿½s 25th anniversary with this beautiful and inspiring exhibition. 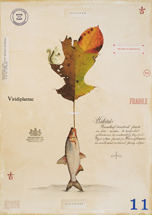 Rescue is the inaugural exhibition in our brand new environmental art gallery. 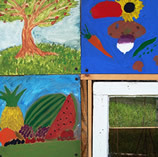 For over 11 years, our environmental art program has presented exhibitions inside and out. This gallery will allow for larger, more diverse indoor exhibitions. 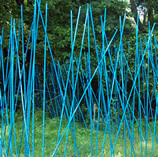 Essential to the cultural community of Philadelphia, we are the only venue devoted entirely to environmental art. We invite you to stay in touch and return for each new show! Jennifer Hynes is a photographer and art educator with an MFA in Studio Art from The National University of Ireland, Galway and a BFA in Photography from Parsons School of Design in New York. Her work has been exhibited internationally with previous solo shows in New York, New Jersey, Philadelphia and Ireland and is part of a number of permanent private and public collections including the fashion house MaxMara. The public is invited to meet the artistï¿½as well as the clinic staff and some of animal subjects of the showï¿½at a reception on Saturday, October 20 from 5:00 ï¿½ 7:00 pm at the Schuylkill Center. Enjoy light refreshments and an optional hike in the Centerï¿½s woodlands. 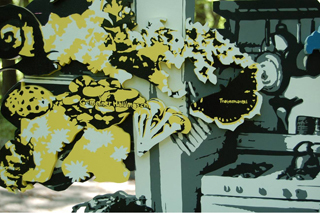 Presented by the Schuylkill Center for Environmental Education and The Center for Emerging Visual Artists. Exported from a studio, these works begin a new life outside, elsewhere, and against a backdrop of the very thing they were inspired by - the natural world. Familiar forms typically seen outdoors - Susan Benarcik's droplets, Ana Hernandez's bright red fabric fungi, and Scott Pellnat's giant boat trapped in the woods are recreated and recontextualized. Other work plays with the natural elements, giving a viewer a new perspective on the familiar landscape. Mami Kato's work floats on the Fire Pond, and Caleb Nussear plays with mirrors, layering the visual experience of the woods. Darla Jackson's "Birthday Party" enlivens our indoor gallery space, as a way to welcome visitors and mark the the 25th anniversary celebration of the Schuylkill Center's Wildlife Rehabilitation Clinic, which treats and rehabilitates thousands of animals each year. Out of Bounds will be installed all around the Main Building: in our Fire Pond, our indoor gallery, at the edge of our picnic grove and in our new Sensory Garden. This exhibition brings a new experience for a new summer at the Schuylkill Center. All the artists in this exhibition are Current Fellows or Alumni of CFEVA's Career Development Program Fellowship. Artists are selected for CFEVA’s highly competitive Fellowship by its renowned Board of Artistic Advisors. While active in the program, the artists have opportunities to experience a full exhibition schedule, receive career counseling and mentorship, earn money from the sale of their work, teach in the community, and participate in numerous professional development opportunities. 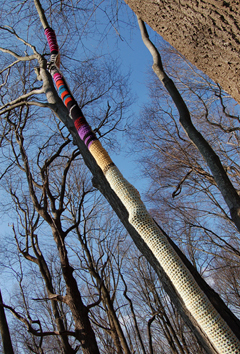 Philadelphia-based artist Melissa Maddonni Haims "knit bombs" the Schuylkill Center, enlivening the brown and grey winter landscape by wrapping tree trunks with brightly colored yarn cozies. Funny, bright and engaging, this installation entices winter travelers to stroll the woods and see them anew. A small indoor exhibit of works created from recycled, reused and reclaimed materials complements the outdoor installation. 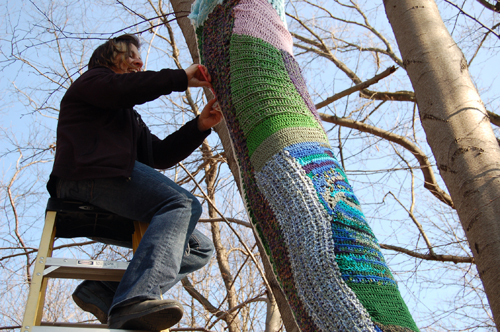 Knit or yarn "bombing" has made an international splash in the last few years. 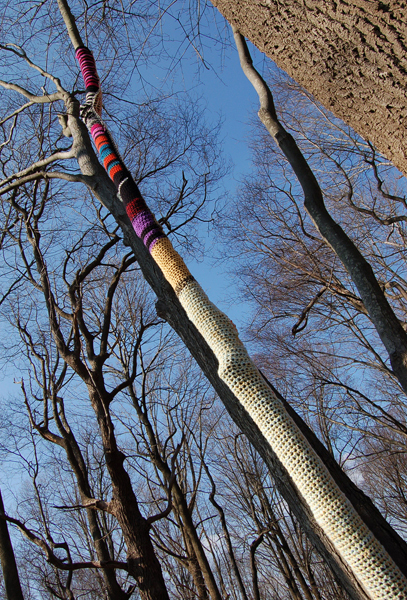 The genre blends the crafts of knitting and crocheting with site specific installation, transforming public objects such as fire hydrants of bike racks into clever street art. The Schuylkill Center presents Haimsï¿½ work on its driveway and main trails as a way to literally warm up the woods for trees and viewers alike. 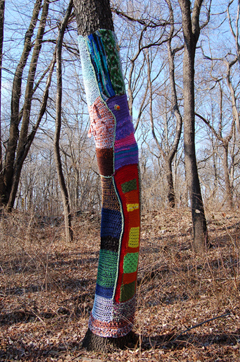 Learn about yarn bombing at http://yarnbombing.com/. 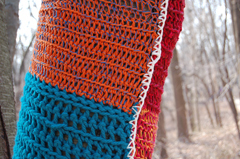 The Schuylkill Center will host a special fiber craft event and opening artist reception on March 10, 2012. 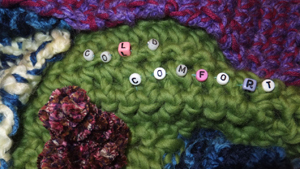 Knitty Gritty Day will feature knit and crochet workshops for all ages from 1:00 ï¿½ 3:00 pm, followed by the reception and tour of the exhibit from 3:00 -4:00 pm. Opening reception December 4,ï¿½ 2:00 ï¿½ 4:00 pm. 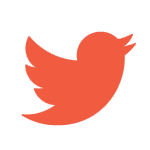 This exhibition takes a look at the Schuylkill Centerï¿½s permanent bird collection.ï¿½ These taxidermy specimens, donated by volunteers and members across the years, allow us to admire up close the detailed beauty of our regionï¿½s birds. Photographer Lisa Haun has spent over a year working with birds from our collection, creating portraits that defy their subject ï¿½ they look alive and teeming with personality.ï¿½ Her subjects include the Screech Owl,ï¿½ Yellow Warbler, King Fisher, Blue Jay, Pileated Woodpecker, Cardinal and Red Tailed Hawk. Interactive displays by Jennie Thwing and Lorenzo Buffa display the calls and other sounds of various birds in the exhibit. Selections from the taxidermy collection will also be exhibited. Featuring: Tour with the curator and artists of “Facts and Fables” and Storytelling Program with Stephen Noble. A group exhibition of seven site-specific works about stories of our natural world, with a variety of artistic perspectives, from fictional to factual. This exhibition asks important questions about the human experience of the environment: How do stories affect our understanding of nature? How do we represent our environmental impact? What is true nature and what is fabricated, and how can we tell the difference? Is our experience of nature limited by our human abilities to sense the world around us? The seven artists use diverse methods to address such questions: memorials, guidebooks, faux landscapes, fairy tale crime scenes, live video feeds, visual perception tracking, distortion of scale, predictions and invitations. Some artists tell stories, while others examine the ways stories are created, or retell old stories to unearth new ideas. These artists combine antiquated methods with innovative technology to offer the viewer a range of experience and ways to interact with the natural world. Jeremy Beaudry catalogs the ambivalence that defines humankind’s complex relationship to the natural environment with a printed guidebook and several physical markers placed along the trail. 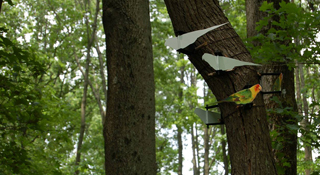 Brian Collier replaces flocks of birds in the trees along the trail. Represented are two extinct bird species that were once common in this region, the Passenger Pigeon and Carolina Parakeet. This project is part of Collier’s larger series, “The Anthropogenic Ornithology of North America,” which questions the extent of human impact on bird populations and behaviors since European colonization. Through deforestation and hunting these birds for both food and fashion, these native birds were wiped out. In addition, by transforming the natural landscape to what we know as suburbia, we have changed the types of birds that can survive in our region. 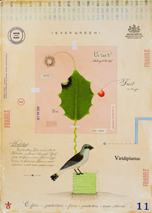 Visitors are also encouraged to participate in Collier’s “Bird Shift” project by filling out their own observation cards which will be installed in the gallery. Blane De St. Croix creates a miniaturized landscape that reflects on the effect humans have on animal habitats. The faux landscape hovers above the existing terrain as a miniature subliminal still. The work is an invented conglomerate of varied landscapes that have been destroyed by human interference, including mountain top removal coal mining, soil erosion and deforestation. David Dempewolf presents a video (in the gallery) and a hand-stenciled panel (on the trail) that consist of visually translated mental images that are drawn from memory and reveries. The images relate to a text that the artist encountered about the meeting between the poet Paul Celan and the philosopher Martin Heidegger. 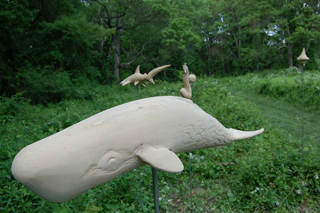 Susan Hagen creates an outdoor installation of hand-carved wood sculptures of animals to memorialize the thousands of animals killed, harmed or endangered by the 2010 Deepwater Horizon oil spill in the Gulf of Mexico. Hagen’s sculptures are carved from white cedar, weathered outdoors, and mounted on stainless steel rods emerging from the earth. This installation allows viewers to visualize the animals directly affected by the oil spill, as well as to consider the long-term repercussions of our reliance on fossil fuels. Jeanne Jaffe reconfigures the Little Red Riding Hood fable as a psychic crime scene set in the Pine Grove section of The Schuylkill Center, examining civilizations’ crimes against nature, reversing the roles of victim and victimizer. This exhibition is made possible by a generous multi-year grant from The William Penn Foundation. The Schuylkill Center for Environmental Education is pleased to present The Natural History of My Backyard. 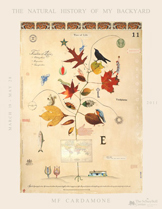 This exhibition, by Philadelphia artist MF Cardamone, includes mixed media works on paper that whimsically record the life histories of plants throughout the world. Cardamone incorporated plants native to The Schulykill Center for Environmental Education when creating works included in The Natural History of My Backyard. 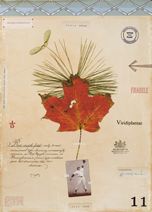 Cardamone’s plant specimens are collected and combined with images and words that playfully modernize the traditions of specimen mounting and botanical illustration. 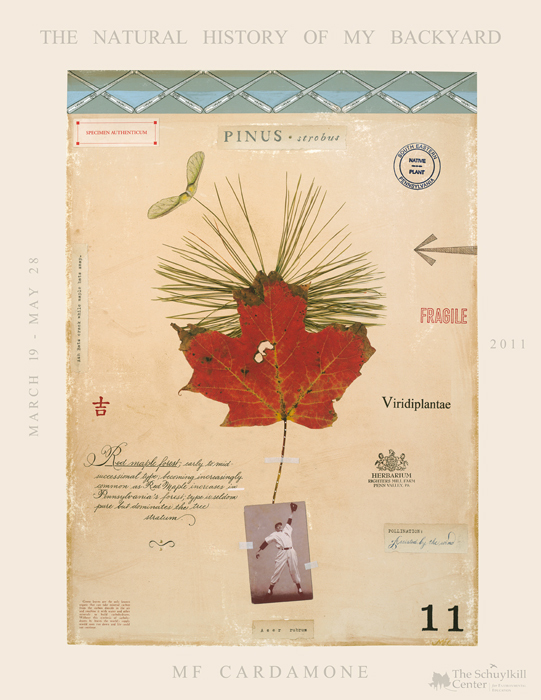 The results are complex visual narratives that reveal the science, history, and beauty of their subjects. Original pieces are produced in small editions and printed on 100% rag watercolor paper using archival inks and individually embellished by hand. 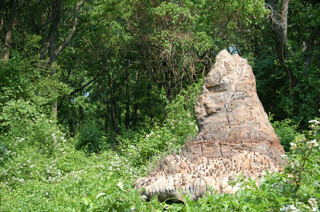 Shortly after completing the Barnes Foundation Arboretum School program, Cardamone started designing her native Pennsylvania wildlife habitat garden. While researching and collecting native plants for the garden, she became fascinated by their life histories and medicinal uses. Her inspiration and influences are varied and combine a lot of different interests such as: Medieval Herbals and manuscripts, ecology, folklore, ethnic and vintage designs, Traditional Chinese Medicine, Pop Art and Surrealism. The opening reception for The Natural History of My Backyard will be held on March 19, from 4pm - 6 pm at The Schuylkill Center’s Welcome Gallery. MF Cardamone will discuss her work. In addition to the works themselves, beautifully printed limited edition signed posters will be available for sale at the opening reception. The Schuylkill Center for Environmental Education is very pleased to present The Natives. This exhibition, by Philadelphia photographer, Joshua Marowitz, represents some of the native botanical inhabitants of South Eastern Pennsylvania. These plants often go underappreciated, unnoticed, or unseen by passersby, but reveal the same beauty and strangeness as the most cultivated hothouse flora. Marowitz pours a soft, loving light on his subjects. 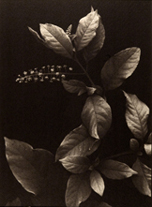 Using the historical “salt” printing process, the artist captures the exquisite detail and tone of these plants as well as the sense of regality and history that these native botanicals uphold. This sumptuous exhibition will delight and inform those who adore the brilliance which nature and photography can create. Marowitz, a Philadelphia native himself, favors landscapes, both urban and rural, to dominate his subject matter, creating a painterly quality that timelessly resonates. Since receiving his BFA in photography from the University of the Arts, Marowitz has pursued his photographic work while co-founding The Lightroom, a Philadelphia-based non-profit photography studio and teaching facility designed to promote and stimulate the medium of fine-art photography for youths and adults alike. In 1834 William Henry Fox Talbot discovered that by coating a sheet of paper with sodium chloride (salt) along with silver nitrate, one could make a light sensitive emulsion that would produce a permanent image. This was the discovery of photography. 176 years later any photographer can produce a salt print that garners the kind of tonal range and detail that rival today's most advanced printing methods. The practice of capturing nature’s stunning beauty and reflecting it back to a viewer is a long tradition in the visual arts. By choosing a process which evokes both history and contemporary techniques, Marowitz deepens his viewer’s enchantment and elevates these “Natives” to their rightful place in our visual canon. The opening reception for The Natives will be held on November 20, from 3pm - 5 pm at The Schuylkill Center’s Welcome Gallery. Joshua Marowitz will discuss his work and Joanne Donohue, Manager of Land Restoration at The Schuylkill Center, will give a presentation on Native Plants. In Ground Play, The Schuylkill Center for Environmental Education invites six artists from Nexus, a co-operative comprised of Philadelphia-based multi-disciplinary artists to respond to the history and physical space of its Second Site. The works in Ground Play includes video, collage, photography, textiles, sculpture and performance. The artists in the exhibition are Susan Abrams, Nick Cassway, Jebney Lewis, Michael McDermott, Leah Reynolds and Jennie Thwing. While each of works in Ground Play is unique, there is one constant: they are all created through play. Using color, scale, sound, texture, humor, fear, storytelling and performance the artists consider the relationship of play to the land. The works resonate with the topography, history, culture and vegetation found in the Schuylkill Valley, resulting in an exhibition that typifies and compliments the area. 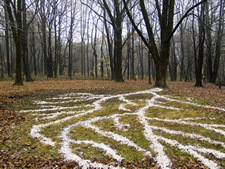 Ground Play is an expression of the insightful ways six artists utilize the land as their own artistic playground, creating experiences meant to delight and provoke visitors. The Schuylkill Center’s Second Site, also known as Brolo Hill Farm, was at one time an active farmstead. It includes an 18th-century farm house and barn and the remnants of a plowed field once used to grow feed hay for livestock. Artists are encouraged to consider both the agricultural and cultural conditions that might have existed on the site when the farm was active, and examine through art installations the implications of those dynamics in today’s environmental climate. By using found objects, photographing discoveries, researching the area’s history, or by weaving stories into their own work’s narrative, The Ground Play artists consider the relationship of play to their work within this context. The work in Ground Play is an expression of the curious and innovative ways these six artists use color, scale, sound, texture, humor, fear, storytelling and performance as their own artistic playground, coming up with new modes of expression and creating experiences meant to invite a deeper appreciation for the environment at Second Site . 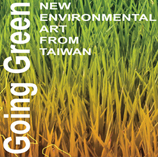 The Schuylkill Center for Environmental Education and the Asian Arts Initiative are pleased to cooperate with the Taipei Cultural Center in New York City to present the exhibition Going Green: New Environmental Art from Taiwan. The exhibition will offer to the USA audiences an international perspective on environmental art and reflect the unique viewpoint and approach to nature of Taiwan’s contemporary artists who are just beginning to focus on the environment as an important issue for their country and the world. Taiwan is a very urban and highly developed technological country with many contemporary artists specializing in video art and new media. It is only recently that a few artists in Taiwan have begun to focus on the environment, and re-introduce to contemporary art the use of natural materials and a focus on the natural world that has always been of major importance in traditional Chinese art and culture. The show will open at Asian Arts Initiative, 1219 Vine St, Philadelphia 19107, on Friday, August 6, 5:30pm – 7:30pm with a reception and a panel discussion on contemporary Taiwanese environmental art (6pm). Panelists include curator, Jane Ingram Allen; Advising Director for The Schuylkill Center’s Environmental Art Program, Mary Salvante; and visiting Taiwanese artists Chao-chang Lee and Ping-yu Pan. 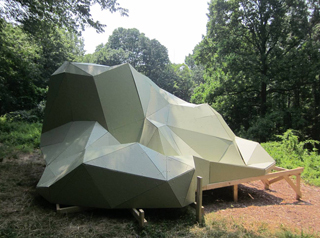 On Saturday, August 7, 3pm – 5pm, there will be guided tours of the exhibit’s outdoor installations at the Schuylkill Center for Environmental Education, 8480 Hagy’s Mill Road, (Roxborough) Philadelphia. Visiting artists Chao-chang Lee and Pin-yu Pan will discuss their works Everything is Buddha and Ark for Plants. 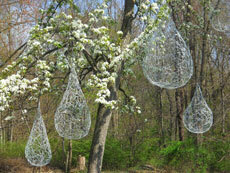 Elemental Energy: Art Powered by Nature is The Schuylkill Center's 2010 On The Trails exhibition. 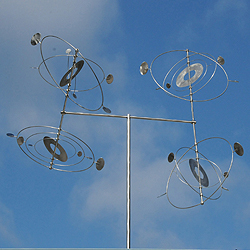 Six artists or artist teams from around the country will present outdoor sculptural installations that engage a natural element - wind, water, sun - to create a dynamic or kinetic artwork. 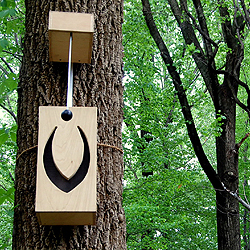 Each piece creates sound, movement, or both, using only the energy they harness from nature. These exciting works will be installed for visitors to The Schuylkill Center to discover along Widener, Woodcock, and Grey Fox Loop trails. On May 12, 2010, Elemental Energy artists Jason Krugman and Christian Cerrito taught a Solar Bugbot Workshop. Held at Art in the Age in Old City Philadelphia, participants learned how to construct a circuit that gathers solar energy and releases it in bursts, and then use it in the creation of a small, light-powered, vibro-bot. These Bugbots respond directly to the intensity of the light that they are exposed to, using solar energy to power two vibrating pager motors. 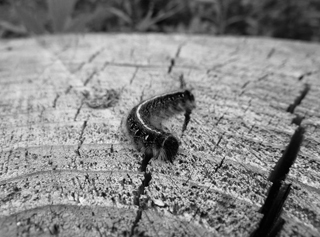 On a sunny day they skitter about frantically...On cloudy days they move intermittently as they build up energy. 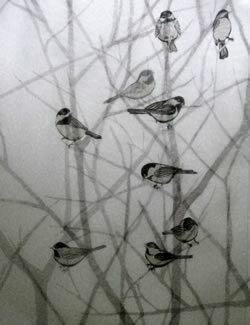 Nest and Branch: A juried Gallery exhibition on Birds and their Habitats. 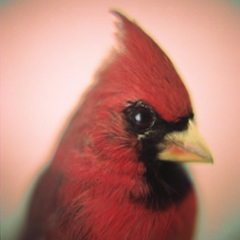 Nest and Branch features artwork that explores the realities and mysteries of birds. 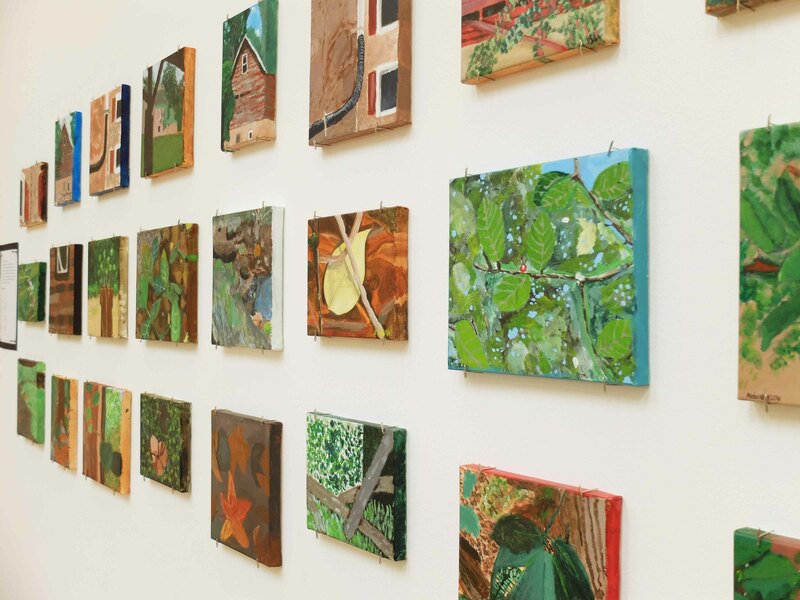 The nine artists represented in this exhibition have taken their inspiration from The Schuylkill Center’s 340 acres of woodlands, fields, streams and ponds, which serve as an oasis for birds in Philadelphia. 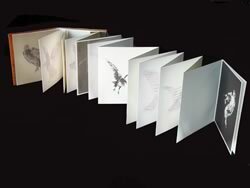 The works in the exhibition use printmaking, drawing, painting, digital media, installation art, and book arts, to explore themes of migration, flocking, and nesting, as well as presenting imagery relating to endangered and extinct species. 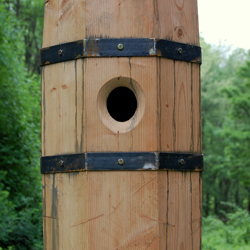 On View through Fall 2010.
at the corner of Port Royal Ave and Hagy’s Mill Rd. Down to Earth: Artists Create Edible Landscapes is an exhibition that highlights the growing focus and emergence of “green” principles and sustainability in relationship to food, art, design and agriculture. The exhibition will include six artists or artist teams who are all working to create socially engaging interventions in the landscape related to food and agriculture, creating an aesthetic and cultural link between art and farming. 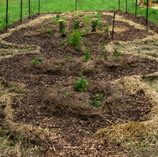 Willa - a contemporary “earthwork” which will function as a medicinal herb garden. Not Drain Away- A rain water collection sculpture off of the roof of the existing farmhouse complete with rain barrels, piping and irrigation system, which waters the American Roots garden. 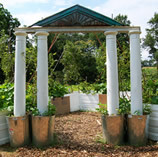 An American Roots Garden - Foods common to early America, including Native American crops and those brought by settlers and immigrants. Drawn to / Drawn from the Garden - A mini art studio, potting shed, and seven vegetable/flower gardens. Kept Out - An enclosure of blue metal fencing that will exclude deer from a small piece of the woods as a way to investigate how the deer alter their own edible landscape. 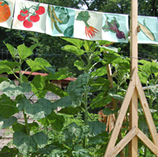 Urban Defense - a five-sided permaculture urban forest orchard. Down To Earth: Artists Create Edible Landscapes is supported by The William Penn Foundation, and an award from The National Endowment for the Arts. Participating organizations include: The Waldorf School of Philadelphia, Lankenau School, Manayunk Academy, Teens for Good, ArtReach, Philadelphia University Engineering and Design Institute, and the Green Woods Charter School. Additional participation in the form of donated services and resources include: Art In City Hall, Philadelphia Orchard Project, Urban Girls Produce, Mill Creek Farm, Weavers Way, Greensgrow Farm, and Re-Store salvage. Corner of Port Royal Ave and Hagyï¿½s Mill Rd. 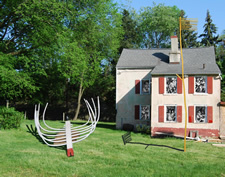 Artist-in-Residence Gary Miller presents an installation of eight large sculptures at The Schuylkill Centerï¿½s mid-nineteenth century farm site, Brolo Hill Farm, along with ten graphic and didactic panels in the farmhouse window frames. The sculptures, constructed primarily from tree limbs and branches collected from The Schuylkill Centerï¿½s 340 acres, will visually reference and celebrate wooden farming tools commonly in use during the 1800ï¿½s. Simple, efficient and beautiful, these tools were most often handmade by local tradesmen or the farm families themselves, and those few implements that remain today carry the patina and wear from years of service and care. In keeping with the location and theme, the artist relied mainly on woodworking tools similar to those used by the plowrights, wainwrights and blacksmiths from that period in Brolo Hill Farmï¿½s history and will construct the eight pieces on site. These rural contrivances no longer perform a task or carry their weight (mandatory of all things on a farm, living or inanimate). Their function, like their location and value to their community has shifted. They have become teachers and storytellers and, to some, undecipherable codes. They have become allegorical. The project also alludes, perhaps with a touch of ironic misdirection, to William Hogarthï¿½s (1697-1764) print series, ï¿½A Rakeï¿½s Progressï¿½ ï¿½ referring to a different type of rake from a different country and a different time. This will be one element in the installation of visual and historical references presented as ï¿½windowsï¿½ in the Brolo Hill farmhouse. Ephemerality is an experimental gallery exhibition that explores ways in which art, communication, and technology can be used to create a greater sense of connection and meaning within reclaimed wild spaces, natural time, weather, and seasons. In this exhibition, artists will present works that directly reflect the impact that 24 hours on the land of the Schuylkill Center can have on their own awareness, creative process, and use of visual material. Six artists and one artist team were selected to create temporary artworks with natural materials on the grounds of the Schuylkill Center, with the guidelines that the artworks created must last no more than 24 hours. The installations, sculptures, interventions, or events created were documented by the artists using photography, video, sound, and text. These documentations of the outdoor ephemeral artwork will comprise the gallery exhibition. corner of Port Royal Ave and Hagy's Mill Rd, Philadelphia. Each student has created a site-specific installation in response to the land and current environmental topics using a variety of materials. SWARM is an exhibition that draws attention to the insect world by presenting artists’ perspectives on the relationship between insects and humans. In understanding the important role insects play in human welfare and survival, we find new reasons to commit ourselves to the survival of all species. SWARM presents seven artists who provide a closer look at insects’ physical beauty, habits, and impact on the human condition, as well as a few imagined scenarios in which the insect world demonstrates, rebels against, and confronts the stresses created by an overpopulated and over-developed natural world. The Schuylkill Center and The Center for Emerging Visual Artists (CEVA) presents the opening of Relics, Myths and Yarn on Saturday, March 8 from 5:30 pm - 7 pm. Throughout history, humans have used animals, organic objects and other components of the natural world as powerful metaphors in storytelling and mythology--symbolizing worldly ideas, fears, and passions. The works featured in Relics, Myths and Yarn are five contemporary examples of iconic subjects as anchors in story, myth or tale that derive from deeply personal experiences. 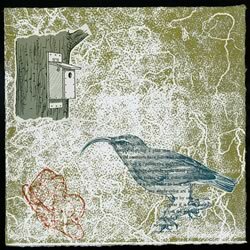 There will be an artists' talk, Nature and the Creative Process at 6 pm. The Schuylkill Center for Environmental Education, in partnership with Philadelphia Sculptors, is hosting an exhibition of small sculptures by five artists whose art addresses the impact of climate change on our environment. Artists in “Tip of the Iceberg” have created small scale work as an allegory for the potential change that just one individual can affect. By combining found objects of contrasting origins, Deb Hoy juxtaposes the natural and the industrial in an attempt at co-existence, pointing a way to the possibility of post- industrial transformation and hybrid species. 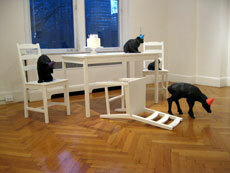 Carla Liguori’s delicate grouping of cast sheep portrays the fact that all life forms share the same matter. Showing the interconnectedness between animals and humans, her work suggests that it is not only the latter that follows one another blindly. Keiko Miyamori uses tree roots embedded in blocks of clear resin as a symbol of preservation to unite the natural with the man-made, and suggests the possibility of living in harmony. Emily Sullivan’s delicate and poetic works made from wire and black velvet are both tender and playful and convey presence and absence. Their blackness absorbs light but also reflects on the beauty and perhaps impending tragedy of the natural world. The fired and glazed clay works of Austin Tremellen physically convey the intensity of extreme heat, and the process of firing the clay represents the increased temperatures we feel as a direct result of global warming. The dripping and crawling glazes also resonate as metaphors for the spread of diseases caused by increasing temperatures. 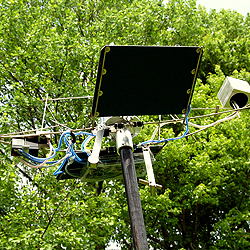 Green Machine is a multi-media based exhibition that explores the relationship between nature and technology. Through site-specific installations and an interactive media lab, the viewer is invited to consider three very different reactions to the surrounding landscape. The selected works place emphasis on technology and the man-made, while simultaneously exploring the ephemeral nature of location, sound, universality and time. This exhibit provides the opportunity to reflect on our agrarian cultural heritage with works that incorporate used garden tools. The pieces included provide a direct link to our history. The artists in this exhibit have rescued some well worn tools and created new art objects that encompass both functionality and fun! The exhibition portrays work by four artists who interpret the landscape as it is, as it should be, or how it might become. The works bring us face to face with texture, color, and form, in addition to evoking an imaginary world where man and nature are in a true symbiotic relationship. This presentation of images of delicate, fragile lichen formations in a large-scale format creates an environment in which the viewer becomes a participant rather than spectator. The surfaces of the rocks are aerial views of mountain plains and tundra and the fluidness of the colors moves us through the space as if floating on the water. Organized in partnership with Philadelphia Sculptors, this gallery exhibition featured a new twist to the concept of conservation and preservation. Industrial byproducts and materials otherwise destined for environmentally destructive landfills took on new identities as they are creatively reincarnated into functional objects. The work in this exhibit combined the natural and the scientific in an imaginary world created with simple materials such as: fabric, wire, egg cartons, feathers and seed pods. The work explored the complex relationships between organisms and their environments through larger than life interpretations of the micro insect world, transforming the mundane into the extraordinary. In her figurative works, isolated human figures interacted with elemental architectural and landform environments and reflected on the development and mastery of skills and knowledge to modify the natural environment. As part of the Center’s educational commitment, the art program introduced a segment that encourages investigation by local university students interested in exploring environmental issues as part of their artistic vocabulary. These installations commented on issues such as historical shifts in land use, eradication of invasive species, and sustainable architecture. Working in teams the students used natural materials found at the Center.